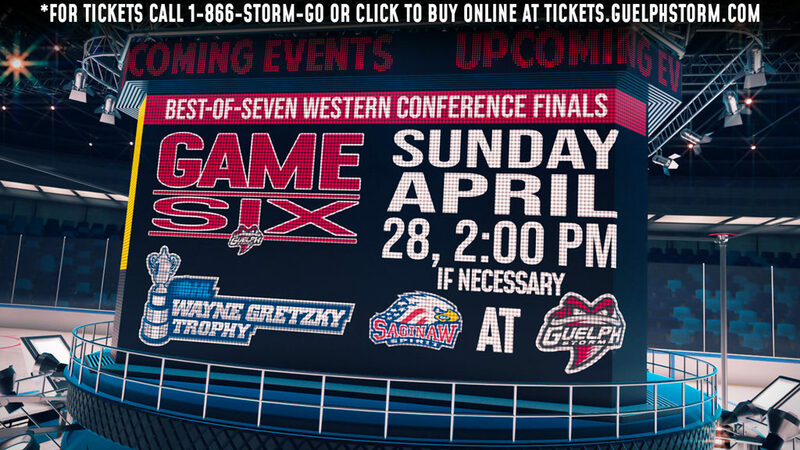 GUELPH, ON – Guelph Storm General Manager and Head Coach, George Burnett has announced the acquisition of Zach Poirier, Mark Shoemaker and a conditional draft pick from the North Bay Battalion in exchange for Luke Burghardt and Luke Moncada. Poirier, a five-foot-11, 194-pound forward from Mountain, Ontario, was the Battalion’s first pick (14th Overall) in the 2014 OHL Priority Selection. During his three seasons in North Bay, he appeared in 183 regular-season games recording 38 goals and 25 assists for 63 points, adding three points in 25 playoff games. Poirier also earned a gold medal as a member of Canada’s Under 18 team at the 2015 Ivan Hlinka Memorial Tournament. 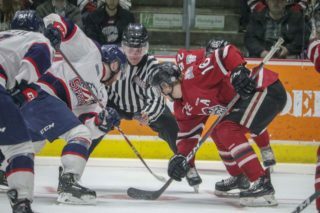 Shoemaker, a six-foot-two, 208-pound defenceman from Mississauga, Ontario, was the Battalions 11th round pick (210th Overall) in the 2013 OHL Priority Selection. The overage defenceman was selected in the sixth round (180th Overall) of the 2016 NHL Entry Draft by the San Jose Sharks. The veteran defenceman has registered five goals and 29 assists for 34 points in 174 regular-season games while adding three assists in 11 playoff games. “Mark is a big, strong, mobile, puck moving defenceman that battles and compete very effectively along the wall and in front of the net,” said Burnett. “Both players are highly motivated to have breakout seasons to earn pro opportunities,” Burnett concluded. 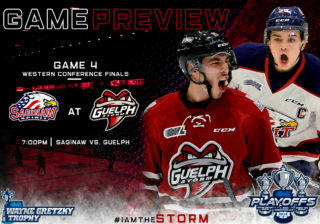 Burghardt, who was selected by the Storm in the sixth round (120th Overall) in the 2014 OHL Priority Selection, played 173 games in a Storm uniform, registering 27 goals and 31 assists for 58 points in 169 regular season games. 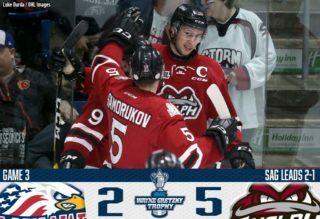 Moncada, a third round (42nd Overall) pick by the Storm in the 2016 OHL Priority Selection, played 37 games in his rookie season, recording five assists during that span. Burnett also announced that the team has traded overage defenceman Kyle Rhodes to the Sudbury Wolves in exchange for a conditional fourth-round pick. 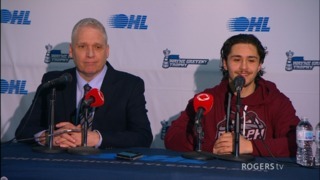 Rhodes was drafted by the Storm in the sixth round (112th Overall) of the 2013 OHL Priority Selection. 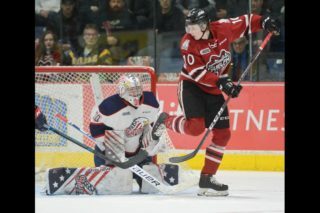 During his three seasons with the Storm, Rhodes appeared in 163 regular season games, registering four goals and 19 assists for 23 points, while adding nine playoff games.